Created and blended from the finest parcels of wines. Everything that FirstCape does is rooted in the vineyards of our original growers in South Africa. The company was founded in 2001 and today has 5 co-operative shareholders and over 200 farms that grow the wines who are always striving to source the highest consistency and quality for their customers. 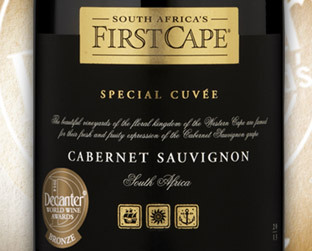 Our award winning Special Cuvee Cabernet Sauvignon. See the range here.